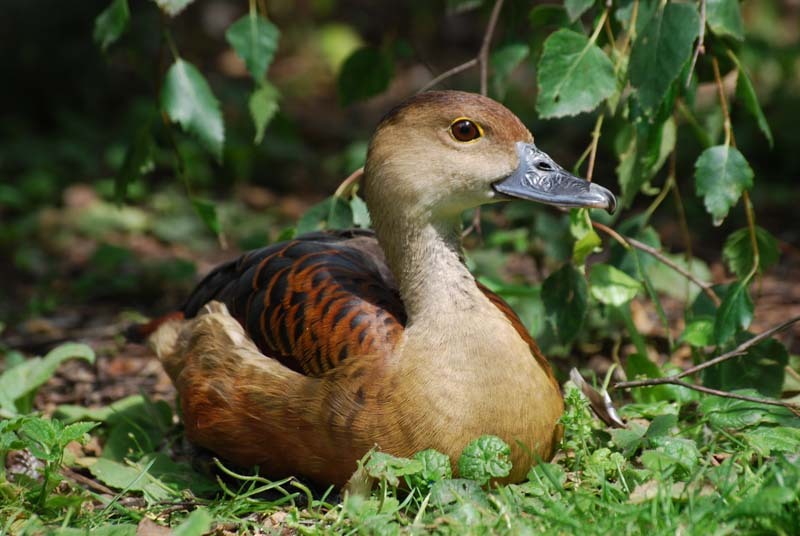 The Javan Whistling-duck is the smallest member of the tribe but has an extensive range in the wild from Pakistan in the west to Southern China in the east and all areas south to Java. 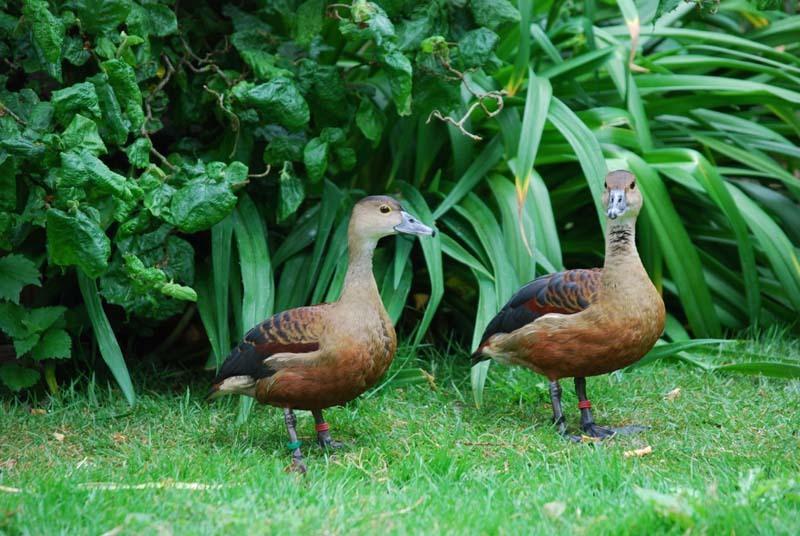 Interestingly while it is common over much of its range in the wild it is perhaps the rarest whistling-duck in captivity. It has always been considered the most delicate species to maintain, this is something that I find difficult to understand, in my experience Javan are more capable of withstanding severe weather conditions than White-faced Whistling ducks. While there is much documentation to the contrary I find Javan very easy to maintain on a standard waterfowl diet of wheat and pellets with the addition of a small amount of millet or Foreign Finch mixture. They become very tame, form strong pair bonds and are a delight to keep. They are an ideal species to maintain full winged in an aviary, they rarely panic and if provided with branches over the water thy will regularly be seen perching and ducks standing on branches well above the water causes much amusement to many that do not associate ducks with perching. They can also be very long lived, I have a female that is in excess of twenty and she is still producing viable clutches of eggs. Javan have a long breeding season but they tend to not start until May, if clutches are removed for artificial incubation they will produce three or four clutches with ease and I regularly let mine incubate when they lay in August as a way of stopping them from breeding; otherwise I am sure they would continue through until September or perhaps even October. They lay eight to twelve eggs in a clutch that are quite rounded and glossy white. Both the male and female incubate and I always leave the eggs with the adults until incubation starts before removing for artificial incubation. 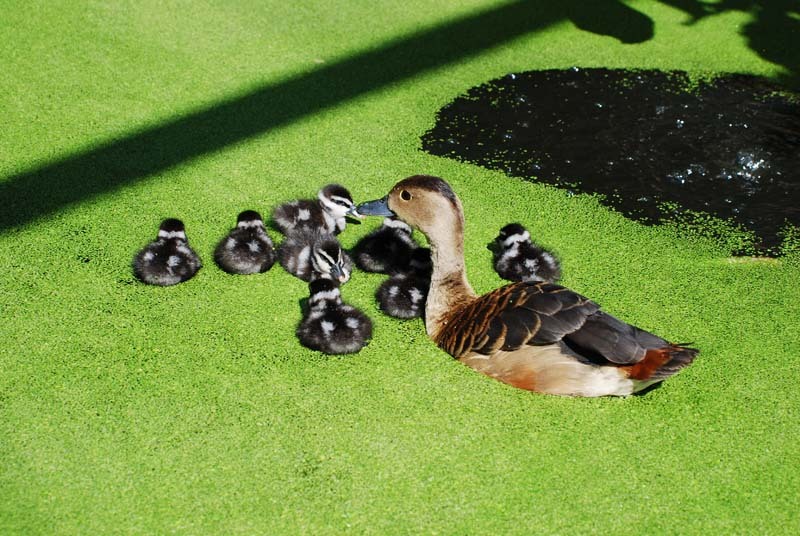 Consequently it is not easy to determine the exact start date for incubation but in my view incubation is at least thirty days and may even be thirty two days which I think would make this the longest incubation period of any of the whistling-ducks. This is perhaps surprising considering that they are the smalest species. Javan will use natural vegetation to nest in but I find that they prefer all manner of nest boxes, they even use porch type nest boxes designed for Smew that are raised nearly a meter from the ground. 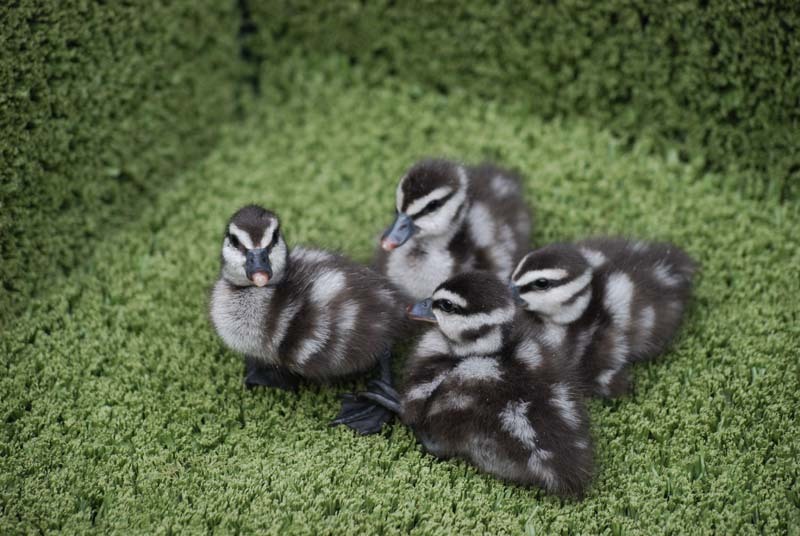 The ducklings are delightful and incredibly smart but they can be very unsteady on their feet for the first two or three days and certainly benefit from a brooder that gives them access to shallow water. Once they have started to feed they are easy to rear on the usual crumbs but do also enjoy some chopped lettuce or spinach but this is certainly not essential.